All animals feed selectively. This book examines the selectivity of feeding from a variety of viewpoints. It examines the viewpoint of the behavioural ecologist that considers decision rules, the dietitian that looks at nutritional problems, and the community ecologist that sees feeding as a factor influencing species diversity. The text brings these diverse disciplines together to produce a coherent view of the way in which organisms 'choose' their diet. Authoritative synthesis of the latest thinking in optimal foraging and feeding theory. 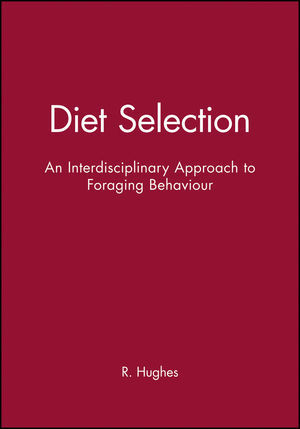 Adopts, for the first time, a truly interdisciplinary approach to diet selection. Authored by experts from each of the contributing fields. Foraging As A Self-Organizational Learning Process: Accepting Adaptability At The Expense Of Predictability. Hunger-Dependent Food Selection In Suspension-Feeding Zooplankton.